Costa Rica is one of the most popular tourist destinations worldwide. In fact, the arrival of foreigners has brought on the desire in many of the international visitors to make Costa Rica their second country of residence, either for professional reasons or just to live temporarily in an excellent climate year round. Located in the heart of the central Pacific coast and an attraction in itself, the Jaco Bay Condo is one of the newest destination hotels in Costa Rica and one of the latest and most valuable options for foreigners looking for a second home or an investment opportunity in the country. Please Contact Us for additional information on our Full or Co-Ownership programs available, as well as current price and availability details of condominiums. Fulfill your dreams at our exclusive Community! We strongly believe that joining our Community is just the first step on your investment or second home plan. Owners may rely on our expertise in order to truly take care and maximize your investment with us. Our Property Management Services will not only assist you on your regular maintenance needs but also provide you with additional features to maximize your investment return as well as value added services. Featuring either daily, weekly, monthly and up to annual plans for investment return when renting your condominium through us. Join the RCI Global Vacation Network to promote the rental of weeks you foresee not utilizing or earn points to redeem by joining their exchange system for stays in more than 3,800 resorts in more than 100 countries. 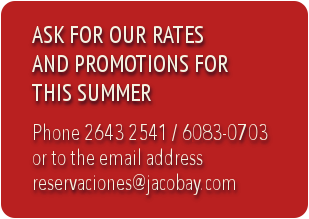 Please Contact Us for additional information and benefits on our Condominium Management Services. Jaco Costa Rica Beach – Jaco Bay Condo | Jaco Beach – Jaco | Jaco Beach Costa Rica – Jaco Beach Costa Rica Location | Jaco Beach Costa Rica – Jaco Beach Costa Rica Photo Gallery | Wedding in Costa Rica – Wedding Planner by Jaco Beach Costa Rica | Special Events in Costa Rica – Jaco Beach Costa Rica | Meeting & Incentives – Jaco Bay | Special Promotions – Jaco| Community – Jaco Beach Costa Rica | Travel Links | .